WASHINGTON (Sputnik) - Lockheed Martin has received a more than $2.4 billion contract from the US Missile Defence Agency (MDA) to provide Terminal High Altitude Area Defence (THAAD) interceptors to Saudi Arabia, the US Department of Defence said in a press release. WASHINGTON (Sputnik) - The United States military deployed a Terminal High Altitude Area Defense (THAAD) anti-ballistic missile battery to Israel, European Command (EUCOM) said in a statement on Monday. 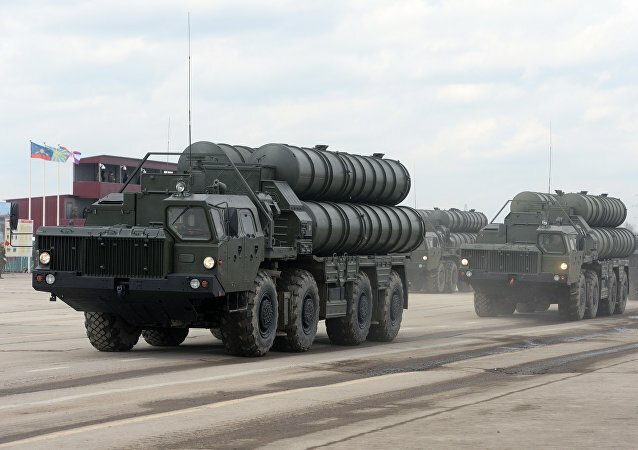 The potential purchase of an advanced air defense missile system from Russia underscores New Delhi’s continued reliance on Russian military hardware at a time when the United States is trying to increase its arms sales to the country. The June 12 meeting between US President Trump and North Korean leader Kim Jong-un may usher in a new era for the Asia-Pacific, CNTV Panview analyst Tom McGregor told Sputnik, predicting certain bumps in the road of the US-North Korean deal's implementation and explaining why the Singapore Summit means a big win for China. 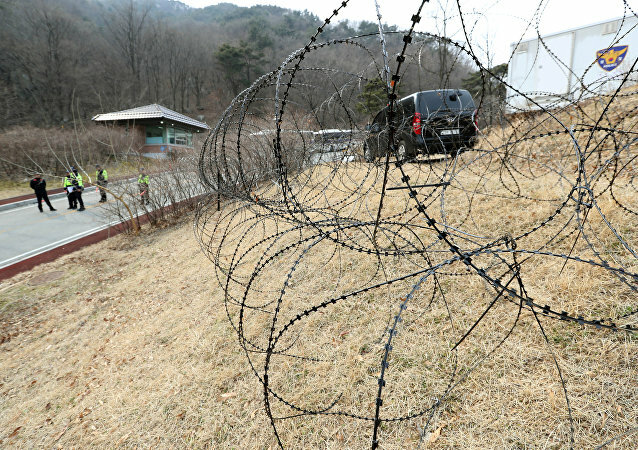 The Ministry of Defense of South Korea, days before the inter-Korean summit, has decided to move construction equipment and materials to a base housing the US anti-missile Terminal High Altitude Area Defense (THAAD) systems, sparking protests among area residents opposed to the deployment. TOKYO (Sputnik) – The South Korean authorities dispatched around 3,000 police officers to disperse demonstrators protesting against the construction of a military base for the US Terminal High Altitude Area Defense (THAAD) missile system deployment in the eastern Gyeongbuk province, local media reported on Monday. WASHINGTON (Sputnik) - The United States considers Russia the major threat to the country and sees North Korea as the most uncertain danger, commander of US Strategic Command Gen. John Hyten said on Wednesday. MOSCOW (Sputnik) - The policy of the United States aimed at a military buildup in Northeast Asia enhances Washington's capabilities to carry out military operations in the region against other states, Russian Ambassador to South Korea Alexander Timonin told Sputnik. WASHINGTON (Sputnik) - Lockheed Martin has been awarded nearly half a billion dollars to manufacture Terminal High Altitude Area Defense interceptors, increasing the initial contract value from $827 million to $1.3 billion, the US Department of Defense said in a press release. The Russian Security Council secretary has explained why Washington strives to deploy global missile defense systems in the Asia-Pacific. Normalization between the two countries is likely to have a positive effect on the resolution of the crisis on the Korean Peninsula. 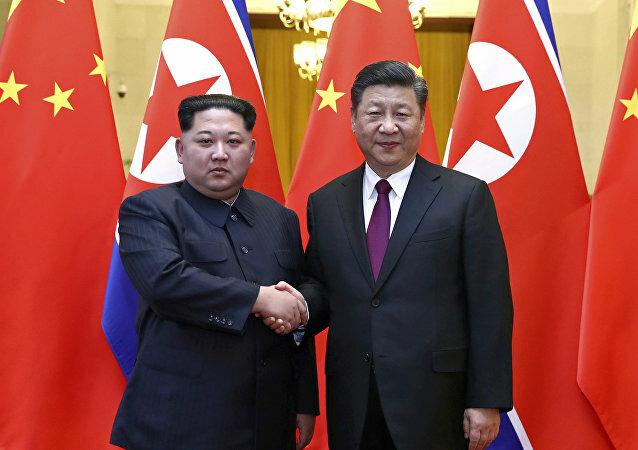 However, analysts warn that there are still some unresolved issues between Seoul and Beijing, including the security issue. 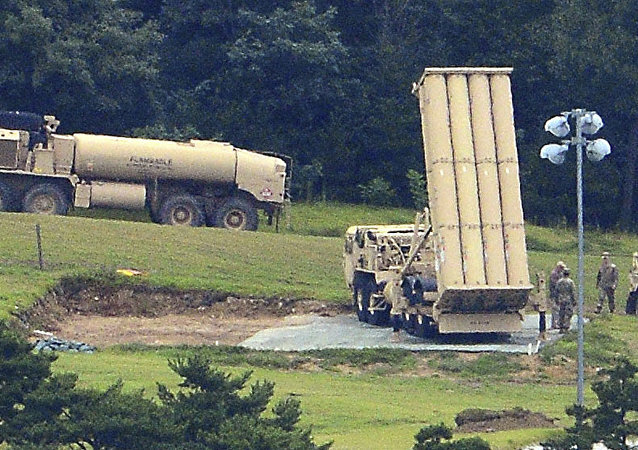 South Korea has deployed the final units of the THAAD missile defense system, now the country’s president is seeking to allay Beijing's concerns regarding the security balance in the region.